October is not just about pumpkin spice lattes and halloween, it is also the month for breast cancer awareness. Every year for the past few years I have participated in the CIBC Run for the Cure, but unfortunately this year I could not attend the event. Breast cancer is the most common cancer found in women worldwide and many people know someone who is or has been affected by the disease. Breast cancer is a disease that has been a part of my family, so it is an issue that is close to my heart. Scientists are still searching for a cure which of course requires funding. Donating to the cause is the best way to help defeat the disease and many companies have created products which part or all of the proceeds go towards fighting breast cancer. This year there are some great beauty products that have been released in which the companies will donate some of the money towards various organizations to help find a cure for breast cancer. 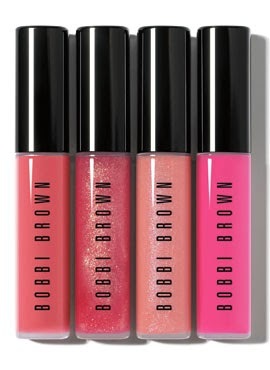 The quadruplet of Bobbi Brown lip glosses are perfect for any occasion. I love the verity of pinks in the set and the mini packaging is great for on the go touch ups! Bobbi Brown will donate $12 to the Breast Cancer Research Foundation for every set purchased. 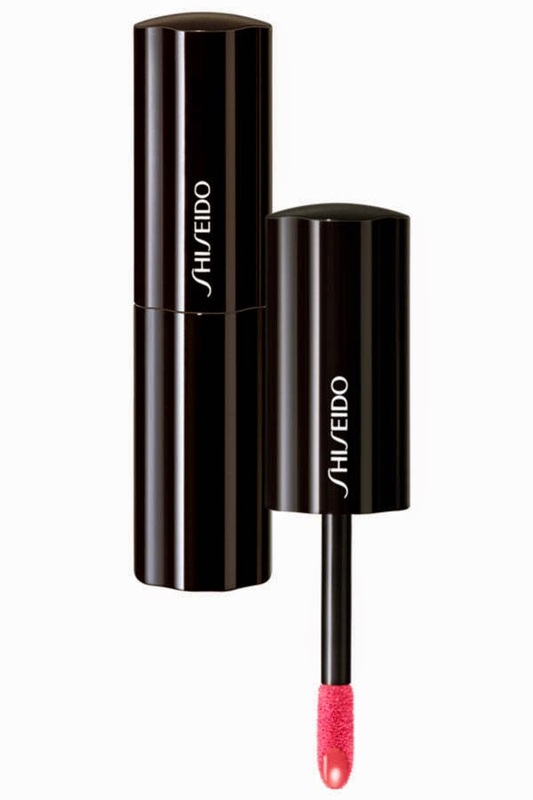 Dare to wear a bright pink lip with Shiseido's Dollface lipgloss. $5 from the purchase of this pink gloss during breast cancer awareness month (October) goes towards Cancer and Careers. Cancer and Careers empowers and educates people with cancer to thrive in their workplace by providing expert advice, interactive tools and educational events. 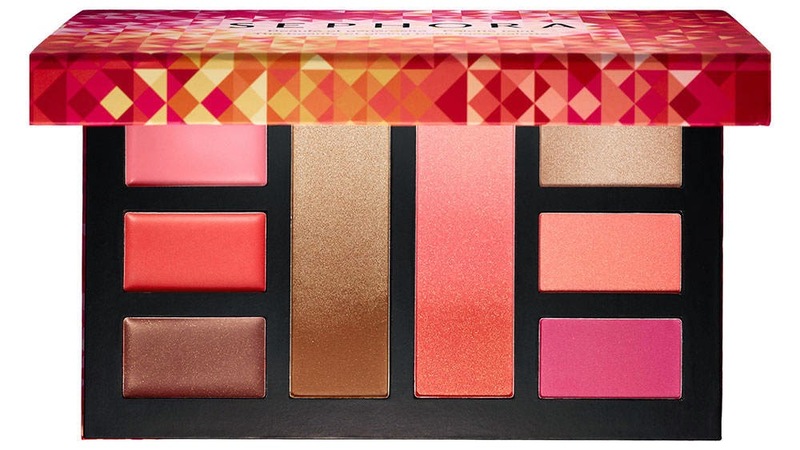 Look good while feeling good about the purchase of "The Beauty of Giving Back Blush Palette" from Sephora. This pallet has everything you need to create the perfect flush with powder and cream blushes and bronzer. Sephora will donate $2 from each palette sold to the Breast Cancer Research Foundation, with a minimum donation of $10,000. 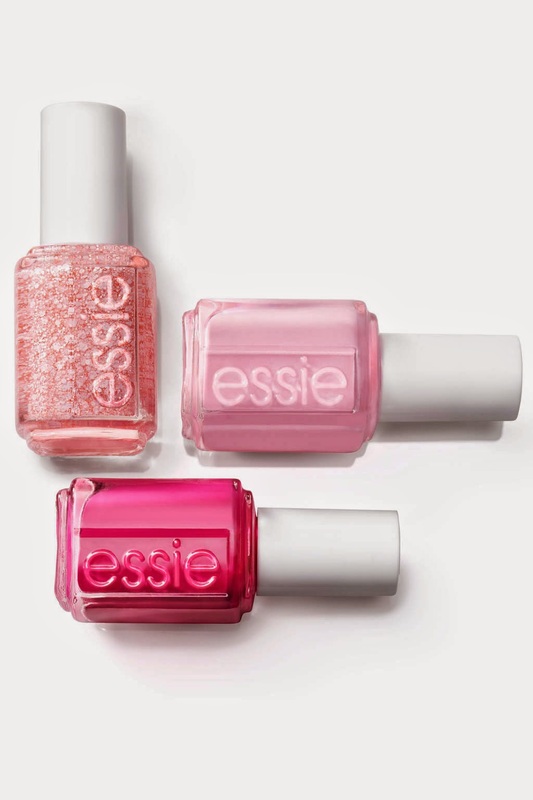 Essie will donate a percentage of the collection's sales to City of Hope, which strives to provide outstanding care, conduct innovative research and offer vital education programs focused on eliminating cancer, diabetes, and other serious illnesses. With such adorable names like: Pinking About You, I Pink I Can, and Pink Happy how could you resist picking up a bottle? Nicole by OPI and EOS have joined together to create the perfect beauty duo! "Feeling Berry Pink Today" is a pretty pink creme polish that goes perfectly with the EOS strawberry sorbet lip balm. To make the match even better, 5% of the proceeds go towards Young Survivors Coalition. YSC is a global organization that offers recourses, connections, and outreach to young women diagnosed with breast cancer. This light pink shimmer polish has been created for this years breast cancer awareness month by OPI the nail polish gurus. 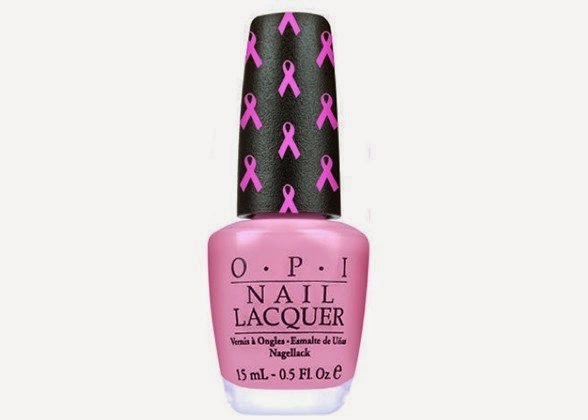 OPI will donate $25,000 to the Susan G. Komen for the Cure. 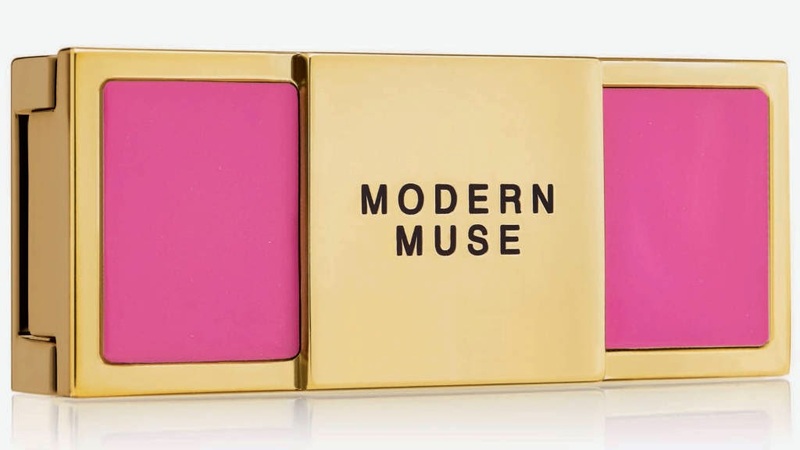 This solid perfume of Estee Lauder's Modern Muse is the perfect size for travel. Easily slip this in your purse to refresh yourself with the perfect feminine fragrance. Estee Lauder is generously donating 100% of the proceeds to the Breast Cancer Research Foundation. The popular Marc Jacobs perfume Honey has been released in an all-new limited edition pink bottle. For each bottle sold, $3 will be donated to the National Breast Cancer Foundation. Pick up your adorable perfume before they are gone! Have an affinity for the finer things in life? 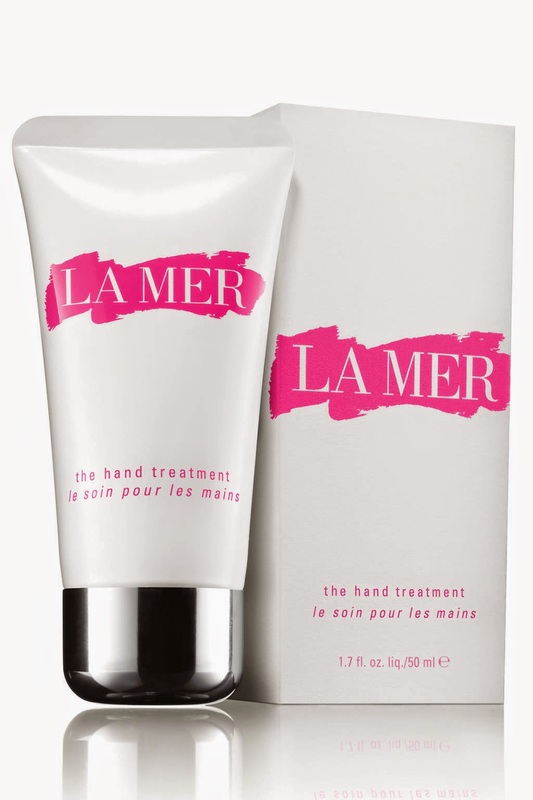 Do your part to help breast cancer research buy purchasing La Mer the hand treatment. La Mer is famous for it's luxurious skincare products and will donate $10 (with a maximum donation of $45,000) from this set to the Breast Cancer Research Foundation. 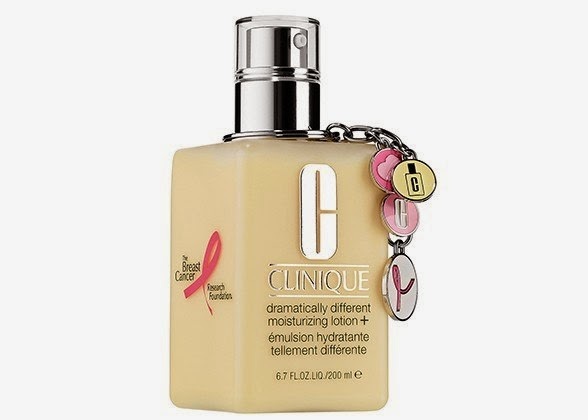 This cult classic from Clinique features cute breast cancer themed charms that dangle from the bottle. $10 from the purchase of this special edition of Clinique's Great Skin, Great Moisturizer will be donated to the Breast Cancer Research Foundation. 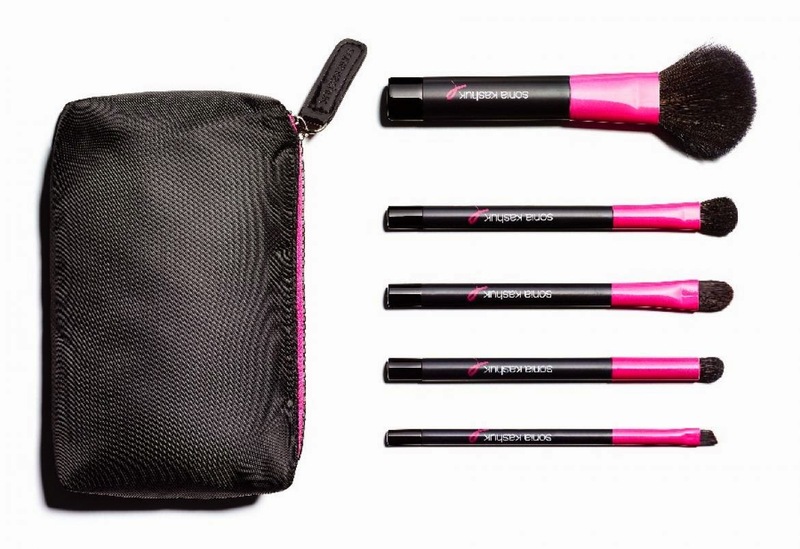 Breast cancer survivor and makeup artist Sonia Kashuk has created a set of makeup brushes with pink accents for breast cancer awareness month. 15% of the proceeds will go towards the Breast Cancer Research Foundation. 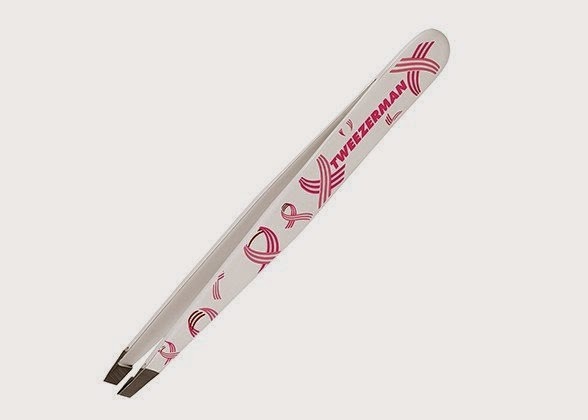 Every year Tweezerman comes out with a fresh design to celebrate breast cancer awareness month and this year's design features the iconic pink ribbons on a pure white background on one of Tweezerman's most popular products. A portion of the purchase of a limited edition Precision in Pink Slant Tweezer will go towards the Susan G. Komen for the Cure and CEW Cancer and Careers among other charities across the US. Of course, any day in any month is a great day to donate to help fight breast cancer and help people who have or have had breast cancer! Please donate or purchase one of these products to help make a difference!